The world's best preserved brick vault has been unearthed in İzmir's Torbalı district during archaeological excavations at Metropolis Ancient City. The vault is believed to be part of the ancient city's public bath and it dates back 1,900 years ago. 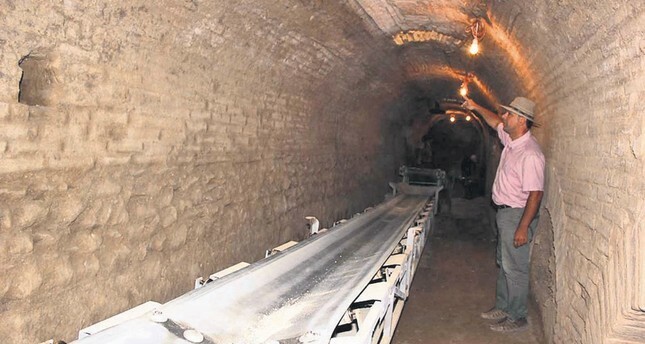 Serdar Aybek, an associate professor at Manisa Celal Bayar University who is heading the excavations, said the structure is one of the best preserved brick vaults in the world. He also said the service corridors were an incredible discovery for the science of archaeology as they are "still standing strong." Offering information about the current exhumation process, Aybek said archaeologists at the site have excavated a Hellenistic-era theater, a parliament building, a gallery with columns and buildings reflecting the ancient city's structure such as two public baths, a hall with mosaics, a villa, shops and streets built during the Roman Empire. Archaeologists at the site have excavated a Hellenistic-era theater, a parliament building, a gallery with columns and buildings reflecting the ancient city's structure such as two public baths, a hall with mosaics, a villa, shops and streets built during the Roman Empire. He said they also unearthed over 10,000 artifacts belonging to the Hellenistic and Roman eras such as ceramics, glassware, architectural pieces, sculptures and artifacts made of bone, ivory and minerals. "We will continue to excavate Metropolis Ancient City and unearth the secrets of the city in efforts to introduce this archaeological site to Turkey's tourism," Aybek added. Aybek said that the archaeologists discovered a prayer area in the northeastern part of the ancient city dedicated to Zeus, the chief god in Greek mythology. "Zeus was called 'Krezimos' for the first time in Metropolis. We were previously aware of the existence of such a temple thanks to the documents we uncovered but we were not able to locate it. The epigraph sources on the columns suggest that the building we discovered is most probably the temple dedicated to Krezimos [Zeus]." The Metropolis excavations are supported by the Culture and Tourism Ministry and the General Directorate of Museums and receives contributions from Sabancı Foundation. 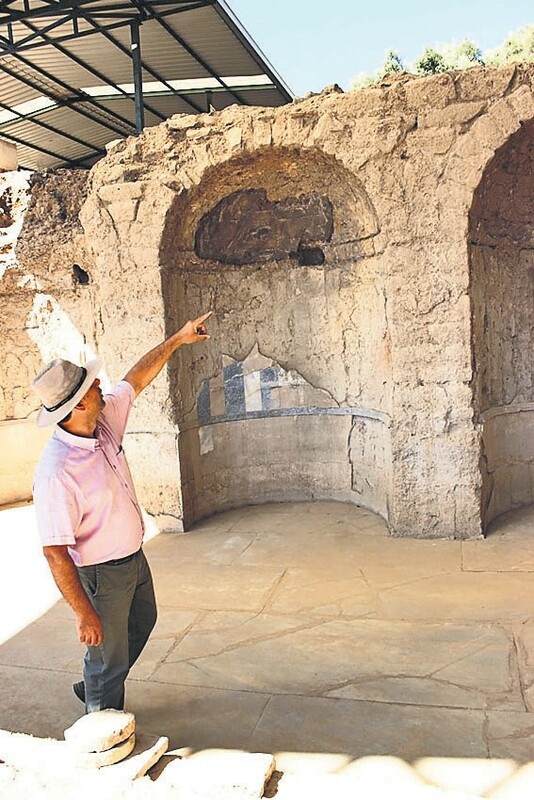 Manisa Celal Bayar University, which has been undertaking the Metropolis excavations for the last 26 years, continues to unearth secrets from the ancient world. This year's excavations kicked off on July 11 with contributions from the Metropolis Lovers Foundation (MESEDER) and the Torbalı Municipality and are being carried out by a team of 25 archaeologists from Manisa Celal Bayar University along with İzmir Dokuz Eylül University and Yaşar University, led by Aybek.